Evo & Grace: The WanderLusts: The Oriental Legazpi’s Jasmine Goes Big with Great Ginormous Dishes! The Oriental Legazpi’s Jasmine Goes Big with Great Ginormous Dishes! If one is in for some major food trip, then a must-try place is The Oriental Legazpi’s Jasmine Restaurant. It not only offers Bicolano dishes with a twist but also Western Cuisine slightly tweaked to cater to the Filipino taste. With “Pinoys” innate love for food in abundant servings, The Jasmine goes big with Great Ginormous Dishes for the month of May! Burger fanatics will surely be surprised with the taste and enormous size of the Monster Burger. 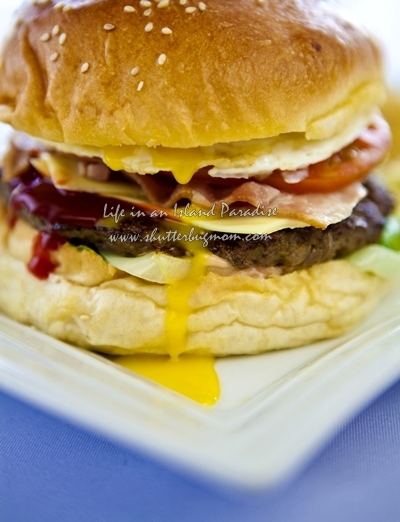 It’s an estimated ½ kilo of heaven combining specially made all-beef patty, tomatoes, lettuce, bacon, egg, cheese in a super baked bun. An absolute bliss in a sandwich! The Oriental Legazpi offers a great prize for its Man vs. Monster contest. Anyone who can beat the record in eating the most number of Monster Burgers in 30 minutes will get the chance to win a stay at a Deluxe Room worth P 9, 500.00. Contest is until May 31, 2013. Another dish that will surely surprise is the Gambas. 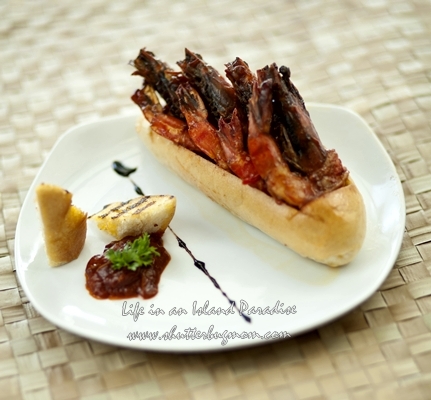 A regular Spanish dish is made extra special using stewed fresh tomatoes, olive oil , secret spices combined with not just shrimps but locally- harvested prawns and served in a freshly- baked French bread. Now that’s one Ginormous Gambas! So don’t just go big, go better with The Jasmine’s Great Ginourmous Dishes! For reservations call, The Oriental Legazpi: +63 (52) 435 3333 l +63 (52) 435 5555, or log on to www.theorientalhotels.com. "Behind the Doors of Chateau"
Lady Antebellum's 4th Studio Album "GOLDEN"
Jessica Sanchez' Debut Album Out Now!